Good job boys! But 1 little advice, either you make a movie in creole only or in english only! Closed caption is key. Because anytime you mix the languages, it then becomes unprofessional. I wrote this in English because I know you read both languages. 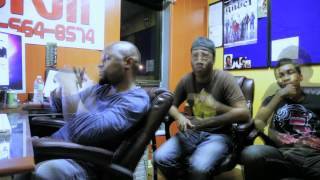 See Haitian filmmaker Robenson Lauvince and Flav in a video during making of the Desole movie poster.